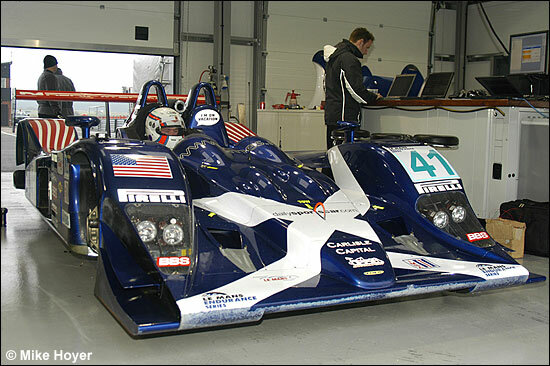 As announced here last week, Sam Hancock shook down the Binnie Motorsports Lola B05/40 at Snetterton yesterday (January 23), the car now fitted with a Zytek V8. Snetterton was as cold yesterday as you’d expect, in January. 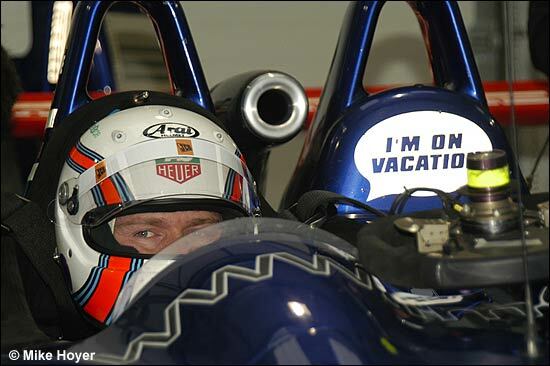 However, Sam Hancock did experience the car-engine combination working properly for a few laps, and reported that "it’s awesome." 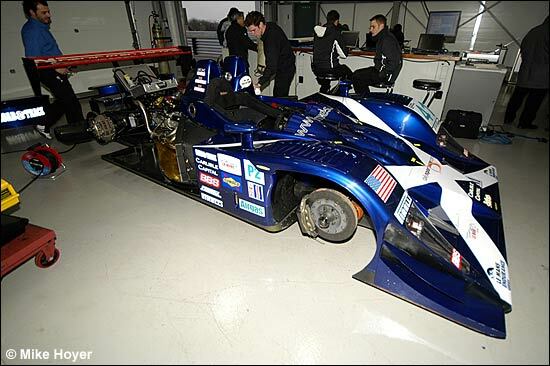 He raced the Binnie Lola (with its NME engine) in the LMES last year, and the Jota Zytek LMP1 car at Istanbul last November (and the Intersport Lola AER at Le Mans), so he's well-qualified to judge these modern prototypes. "You feel part of something very special whenever you drive one of these cars," said a very happy Sam Hanock, the morning after the test. "We had small, niggly problems yesterday, but only what you'd expect first time out with a new installation. "When it ran as it should do, I was over the moon with the performance of the engine, and I can't wait for Bill (Binnie) to drive it. 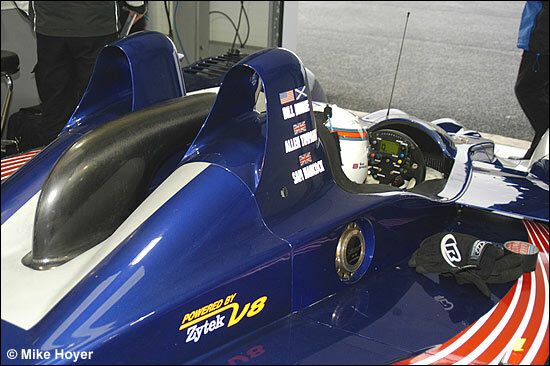 The Zytek engine delivers a lot of power, in a very linear way. Bill is going to feel as though he's stepped up a class." 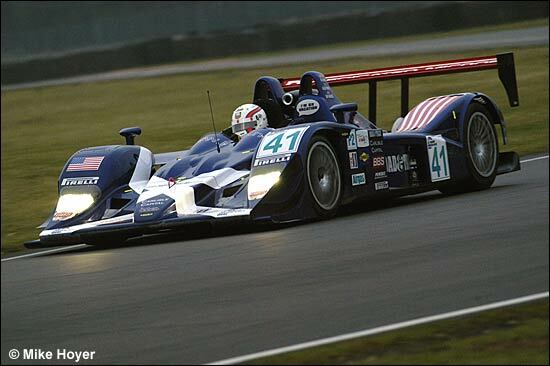 In a way though, even Hancock has stepped 'up' a class - because, as he explains, "the LMP2 version has got more power than the LMP1 Zytek had last year, because of the different restrictors. It feels like a gust of wind behind you: it's definitely enough to feel it." 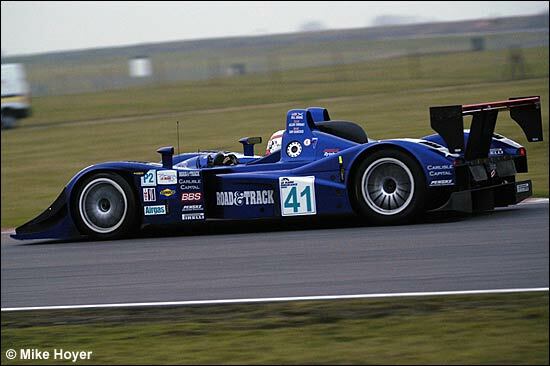 Sam Hancock will be back in the Binnie Lola Zytek on Friday. 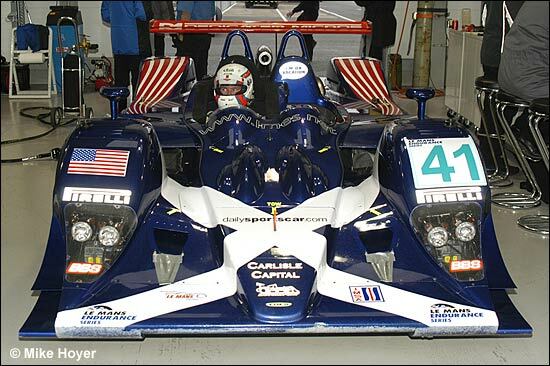 He hasn't confirmed his plans for 2006, but as long as he's in a prototype, he's going to be a happy man.